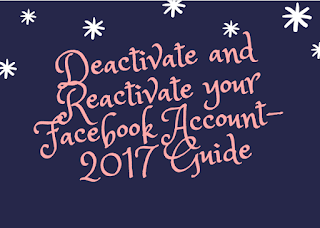 Deactivate & Reactivate My Facebook Account - 2018 Guide: Did you know that you can deactivate and reactivate your Facebook account? 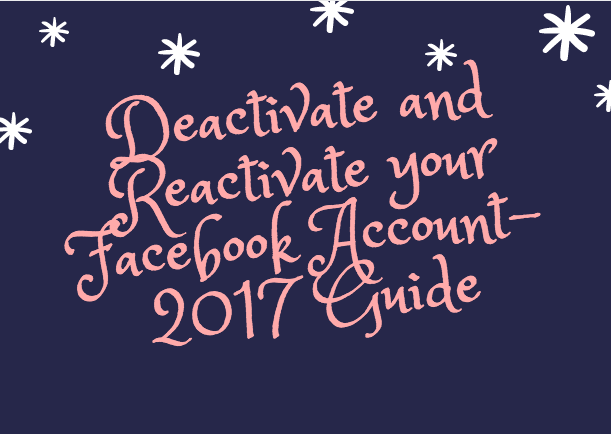 We are now presenting you with the recent way/steps to deactivate and reactivate your Facebook account in 2018. There! Now, you can gain a small measure of peace and take that much needed break from Facebook. REMEMBER: You can reactivate your account anytime by logging in your Facebook details!